Man kills bear. Bear lives on wall. Man dies. 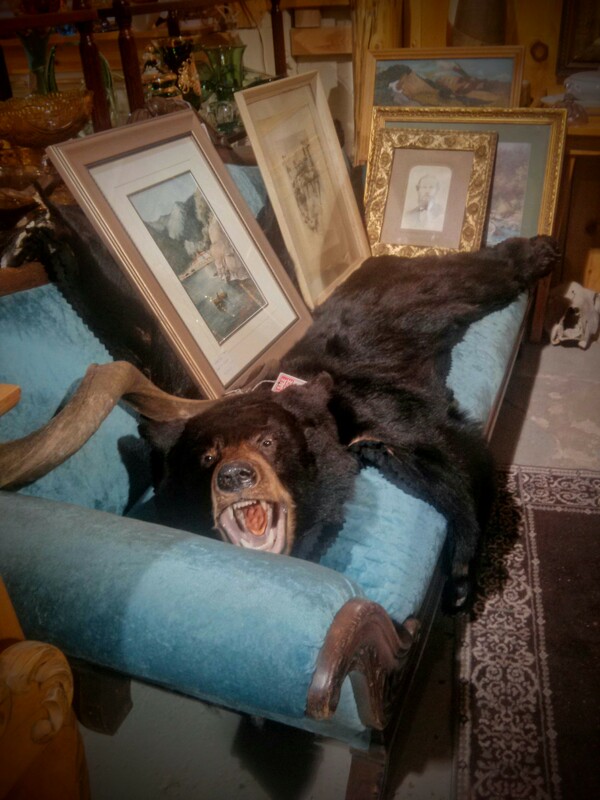 Bear lives in cheap antiques shop. Sigh.